Army Cadets from 206 Chiswick Detachment ACF (Royal Signals) were among nearly six hundred cadets and volunteer leaders from all over North and West London who have just returned from a challenging two weeks at their annual Training Camp - this year at Crowborough in Sussex (27July to 9th August). Obstacle courses, Clay Target shooting, high ropes training, first aid and paintball are just some of the varied activities for the cadets over the two weeks of camp. Drill, sports, target shooting and testing against the Army Cadet syllabus, military skills and many other stretching activities were also part of the programme. Chiswick Cadet Caroline Handford Chmaj says of Crowborough Annual camp “I loved nearly every second of it - even the merciless training during NAAFI break for the sector drill competition or taking part in a night time section attack complete with flares and smoke grenades. I have to admit, things didn't really slow down until the last few nights of camp. Although some people had been homesick beforehand, we all really felt we were going to miss all the friends and fun we'd had on camp, especially the adventure training days which not only challenged us physically and mentally, but helped us get to know each other early on. Also, the barbecue, which got all the cadets together enjoying a great atmosphere and one of the best burgers I have tasted in a long time!" Chiswick and Brentford Army cadets who make up the newly formed Corps of Drums stole the show when they performed for the Visitors Day, at the Sergeants Mess Dinner and for the first time ever provided marching music for the 600 strong final parade at the end of camp, led by Drum Major Sgt Debbie Adams. 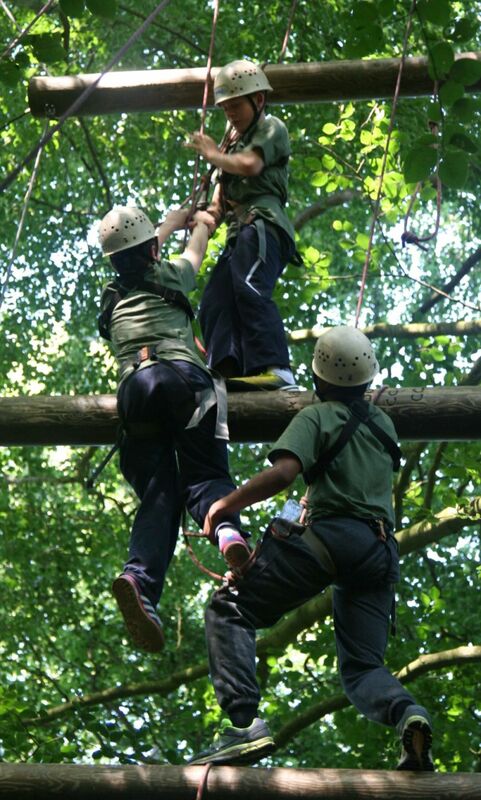 Colonel Mark Hodson TD, Commandant of the Middlesex and North West London Army cadet Force said: "Our cadets from Middlesex and North West London ACF have engaged very positively in the training opportunities which have been presented to them. Each and every one will have grown personally as a result of what they have achieved. We have delivered an exciting and varied programme of training in both military and non military subjects which has fully engaged the cadets and adult instructors alike. Annual Camp is the culmination of a lot of hard work throughout the year. Looking after all of these young people is a challenging task and I am really very grateful to and proud of all my adult volunteers who give up their time so generously for our future citizens".